When Should My Child Visit the Dentist for the First Time and Why? As the parent of a baby, you may think your child’s first dental visit is something you don’t have to worry about for quite some time. After all, your little one may not even be sleeping through the night yet! But his or her first visit is actually closer than you may think. The American Academy of Pediatric Dentistry says that your child should visit the dentist as soon as the first tooth erupts, which is usually around the first birthday. This is an important first step in preventing dental problems and encouraging a lifetime of healthy oral hygiene. 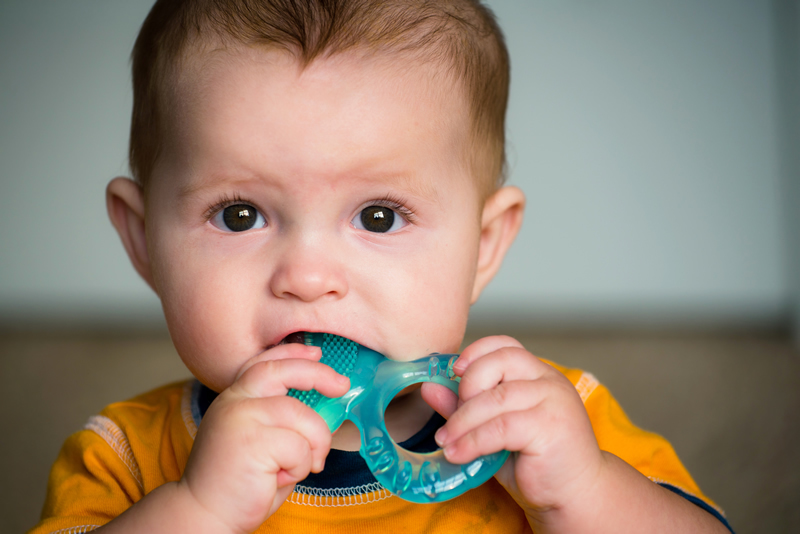 At home, there are things you can do to keep your baby’s gums and first teeth clean. Using a soft bristled brush, you can gently remove plaque from the teeth that could lead to decay and cavities. Do this at least once a day, preferably before bedtime, and avoid giving your child any juice or milk after that. As your toddler gets older, you can boost the frequency with which you brush to morning and evening. For babies who have not yet sprouted their first tooth, use a soft damp cloth to rub the gums. The added bonus? This will alleviate any teething discomfort your child may be experiencing. It’s important to take care of the primary teeth, also referred to as baby teeth, for several reasons. First, it leads to proper oral health that can prevent things like cavities. Second, primary teeth that are well cared for help kids speak clearly and chew naturally. And third, they lead to healthy permanent teeth that will follow later. So don’t forget to contact Kindred Smiles to make your child’s first appointment with the dentist right around their first birthday to encourage a lifetime of good oral health!